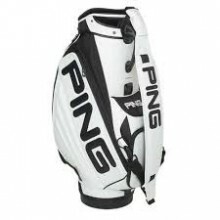 The Ping Tour Staff bag trusted by tour professionals worldwide has nine pockets with protective compartments big and small for everything from the bulkiest apparel to water bottles, rain gear, valuables, and other accessories. The reinforced six-way soft-cover top has two dividers to simplify club organisation. 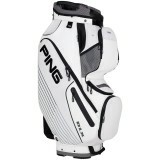 Quality touches include magnetic closures, a thickly cushioned shoulder strap, eye-catching PING logos on compression-molded side panels, and a symmetric design that allows the bag to be carried on the left or right side -- a big plus for caddies to the game's best players. 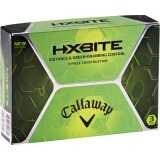 Made of durable, easy-to-maintain polyester and polyurethane materials. Click the button below to add the Ping Tour Staff Bag to your wish list.